Haryana CM Manohar Lal Khattar had announced a compensation of Rs 3 lakh each to family members of the dead. 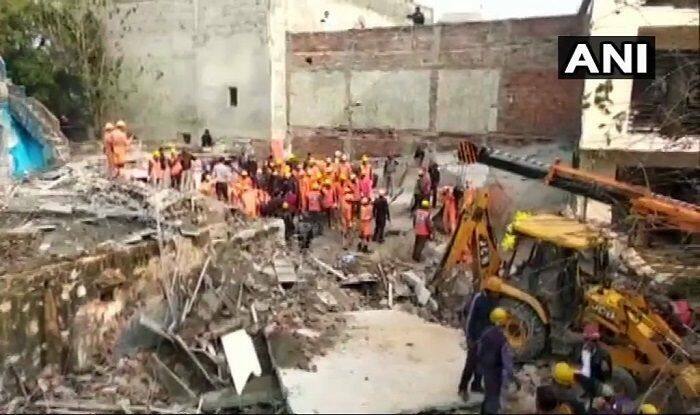 New Delhi: The National Disaster Rescue Force (NDRF) on Friday called off rescue operations in Ullawas area of Gurugram, where a building had collapsed. The team recovered seven dead bodies. The deceased included four daily labourers, two security guards, and one unemployed person. On Thursday, a four-storey building had collapsed during the wee hours. The Gurugram Fire department had received a call at 5.15 am from an Ullawas villager about the incident. Rescue team were rushed to the spot. “The semi-constructed three storey building, with concrete roofing placed for the fourth floor, collapsed resulting in the entire building coming down,” Isham Singh, chief fire officer of Gurugram, was quoted saying by IANS. Reportedly, the building is owned by one Daya Ram, a resident of the same village. He is absconding after the incident and a manhunt has been launched. Police have booked him under the relevant sections of the Indian Penal Code (IPC). Haryana Chief Minister Manohar Lal Khattar had announced a compensation of Rs 3 lakh each to family members of the dead. On January 4, seven people, including a child, were killed and eight injured after a portion of a factory manufacturing ceiling fans collapsed under the impact of a blast in its furnace in Sudarshan Park in New Delhi. The deceased were identified as Ramphal (45), Ajay (22), Munger (55), Hanshu (6), Ajay (25), and Rajesh (40).